NEW APPLICANTS: Applications may be submitted at any time. Dates for documentation submission are open for 2019 and forward. Organizations submitting documentation starting in February 2019 will be required to submit narrative and evidence based on the 2019 Magnet® Application Manual. For questions please contact the Senior Magnet Program Analyst for your region. Select "YES" only if the entire system is submitting this application. If you are part of a system but are applying as a single organization, please select "NO" above. A hospital system is a group of health care entities whose nursing is governed by a CNO as defined in the current Magnet Recognition Program Application Manual and whether or not separately legally established as a for-profit or non-profit corporation, association, sole proprietorship or partnership. If you are applying as a single organization that is part of a system, please select "NO" and use the Individual Entity Application Form. Print the applicable Application Form and collect the needed information before beginning the online application. © American Nurses Association All rights reserved. 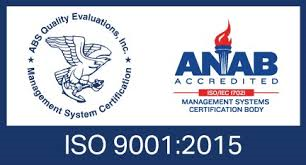 ANCC is the only nurse credentialing organization to successfully achieve ISO 9001:2015 certification in the design, development, and delivery of global credentialing services and support products for nurses and healthcare organizations.